Your far-flung adventure begins on touchdown at Leknes Airport, just a short half hour drive from Nusfjord, one of Norway’s oldest and best-preserved fishing villages. Settle down in your home for the night, a unique fisherman’s cabin boasting magnificent views across the bay and beyond. You’ll immediately get a sense of the peace and the power of this astounding region, where you are the only ones around for miles and miles. Wake up amongst incredible scenery worth getting out of bed for – even your teenagers won’t be able to resist. 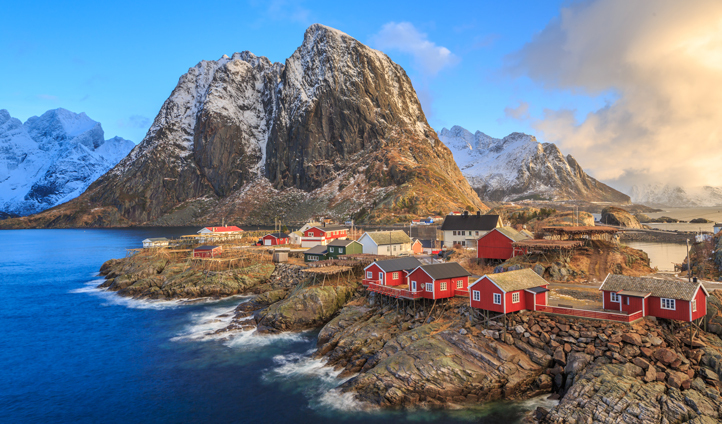 In an adventure-packed vacation, it’s up and at’em with time to explore this traditional village before heading off to the last Norwegian wilderness of Reine after lunch. As you wind your way through the archipelago, you’ll notice how each village is connected by arching bridges or winding tunnels, adding a sense of magic to an already wondrous land. From Borg, hop across to Henningsvær, a village right on the edge of the ocean made up of a spattering of islets in the waters of Vjestfjord. Home to dramatic scenery and colorful buildings that line the harbor, take some time to stroll through the village and admire the traditional village architecture that houses quirky eateries, galleries and workstores. A burgeoning adventure scene awaits you here, so head to your private pier house and refuel, ready for tomorrow. Look out of the window of the pier house and you’ll be able to see the infamous landmark that is Vagakallen Mountain, towering 943 meters above the fjords below. Today, you’ll climb it. One of the most iconic peaks in the Lofoten Islands, you’ll be treated to the most incredible views; the higher you go – the better they get. Coming back down to earth, you’ll spend the next two nights curled up in a waterside apartment on Austvågøy island, in the harbor village of Hopsfjorden. Never-ending mountain views stretching as far as 150km out to sea and a narrow passageway into the bay make this the perfect bolthole in which to rest and recover from your experience-fuelled days. On your final day, take the little monsters to the troll cave of Resshola – just be sure not to leave them there. 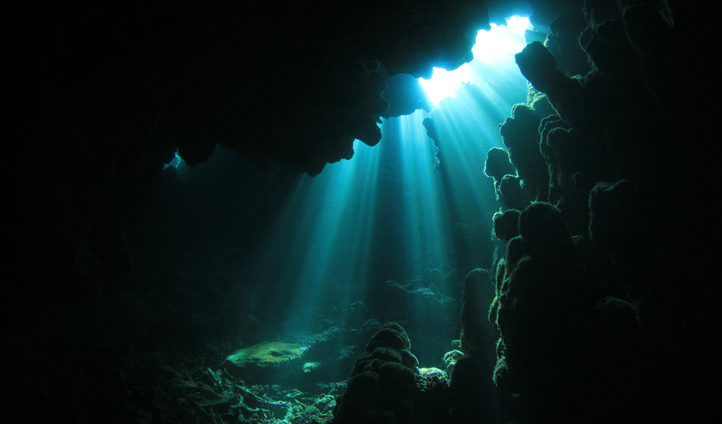 Switch on your headlamps as you head deep subway and venture up to 140 meters under the sea, right into the heart of the cave. The ultimate end to your adventure, a unique snorkelling adventure awaits you after lunch. Dive into the crystal clear waters and discover a whole new breed of marine paradise. In the evening, enjoy one last gourmet meal in the wilderness before falling asleep gazing at the stars twinkling over the fjords.